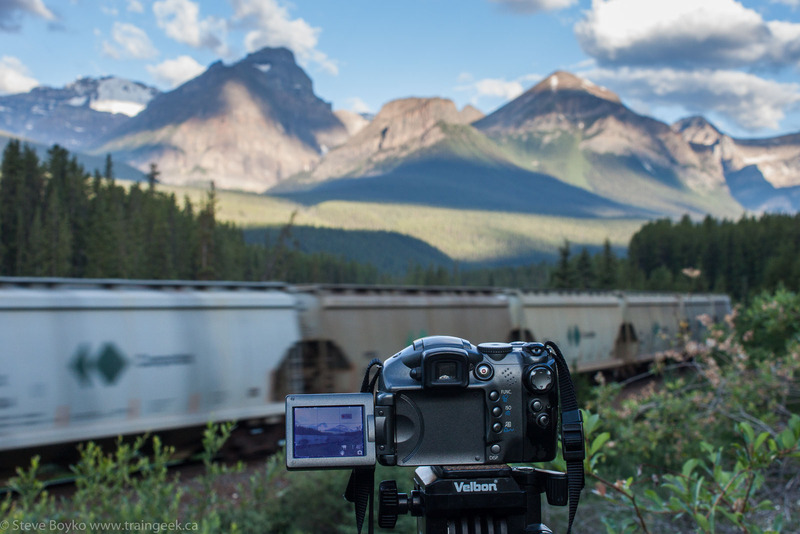 Confessions of a Train Geek: Where Do You Buy Your Photography Equipment From? In these days of always-on Internet, there are so many choices available to the smart consumer. It's hard to know where to go for the best prices on camera equipment. Here I'll present a few of the places I look. Please leave a comment if you have any additional places you look. If you're fortunate enough to have a local camera store, this is a great place to start. Their staff are usually quite knowledgeable and you can get your hands on the equipment to try it out in the store. Personally I go to Don's Photo as it is within a few kilometres of my house. I get a discount for being part of a local camera club and their store is well-stocked and they are pretty competitive on price. I bought my Canon 70-200mm f/4 L lens at Don's and they were able to offer a great price. One thing I will say: I don't recommend that you go to a local camera store to try stuff out, then walk out and buy it online. That's not fair to the store. Stores like Future Shop, Best Buy, London Drugs and even Wal-Mart (ptooey) sell a variety of camera equipment. Their selection tends to be on the low end but you'd be surprised what you can find there. The prices are competitive but the sales staff may not be very knowledgeable. I bought my Canon 50mm f/1.8 II lens via Kijiji and the transaction went very well. I sold my 55-250mm lens through Kijiji and, although it was a bit of a pain to close the deal, it was successful. Where do you go for your photography needs? EDITED September 26, 2014 to add more online retailers. Got my Nikon D7000 and lenses at Henry's in the Kenaston Village. I had shopped around at Don's and Black's....Henry's prices were neck and neck with all the others for everyday normal pricing, but when Henry's had their Nikon sale on...nobody touched them. And...Henry's has some real good in house classes that I signed up for specifically tailored to the camera I had (D7000)... small class size, I think there were 6 of us. Super friendly, knowledgeable sales staff, not pushy. YMMV, but I recommend Henry's to anyone that asks. Amazon is an overrated rip. I just made a purchase from Newegg. Cheaper than Amazon, and free shipping. Amazon is an aggregator. They take a slice from each transaction. I've dealt with B&H, JR Music, Adorama and Beach for many years. Rule of thumb: If there is NO bricks and mortar address and phone under "Contacts" avoid like a black mamba! Busman, I like Henry's and I've purchased stuff from the Kenaston location. I prefer Don's over Henry's more for proximity than anything else! Robert, it pays to shop around, doesn't it? Often you can find better deals than Amazon but I know a lot of people who like them. I prefer to deal with the brick and mortar stores too.